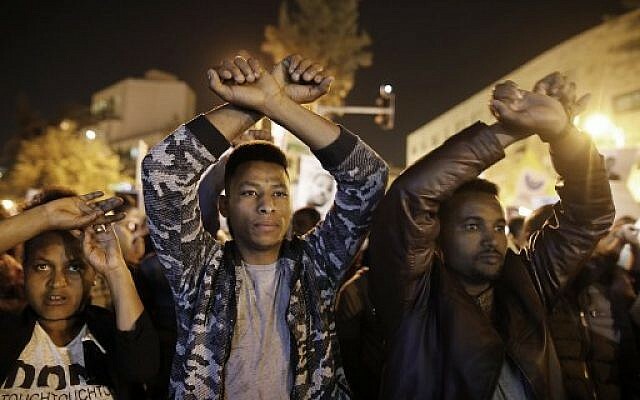 Hundreds of people protested on Wednesday in Jerusalem against Prime Minister Benjamin Netanyahu’s cancellation of an agreement with the United Nations aimed at avoiding forced deportations of thousands of African migrants. Carrying banners reading “Stop the expulsion,” demonstrators including migrants denounced Netanyahu’s surprise decision to scrap the deal on Tuesday just hours after he announced it. The turnaround came as the premier faced mounting pressure from his right-wing base over the agreement with the UN refugee agency, which would have allowed thousands of migrants to remain in Israel at least temporarily. The deal was designed to end the possibility of forced deportations of thousands of migrants to Rwanda, under a controversial plan put forward by Netanyahu in January. 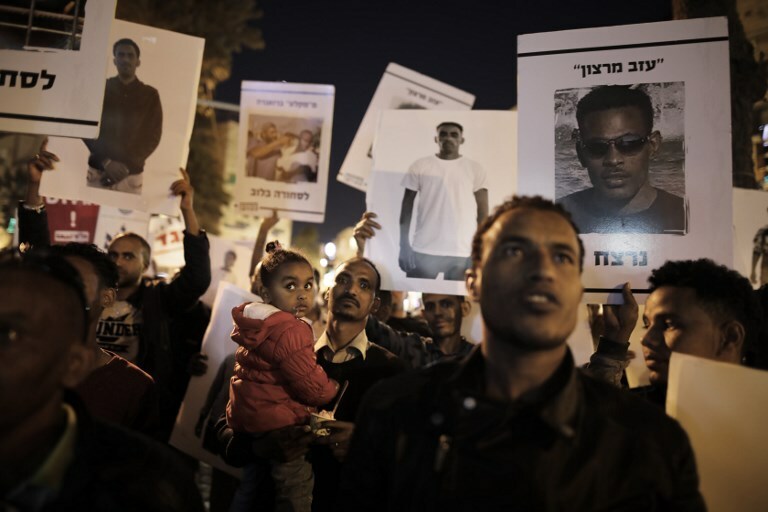 The presence of the primarily Sudanese and Eritrean migrants in Israel has become a key political issue. Under the agreement with the UN, a minimum of 16,250 migrants would have instead been resettled in Western nations. According to the interior ministry, there are around 42,000 African migrants in Israel, half of them children, women or men with families who are not facing immediate deportation.